The diverse arts organizations that make up the Bloor St. Culture Corridor are playing an active role in setting the province’s cultural priorities by participating in a series of town halls and online forums, and by responding to requests for comment. The consultation process was driven by the Ontario government, which is developing its first-ever culture strategy, a set of principles that will guide the province’s future arts investments. The 19 arts and cultural organizations from Bay to Bathurst streets that make up the Bloor St. Culture Corridor educate, inspire, and entertain more than three million people annually, generating approximately $630 million for the area each year. It’s a trend that is borne out across the city: 70 per cent of Torontonians regularly attend, volunteer, or donate to the arts. Four times more tourists come to Toronto for culture than for sports, and overnight culture tourists outspend other visitors by two to one. Arts and culture contribute more than $11 billion to Toronto’s gross domestic product each year. A collaborative partnership formed in 2014 to highlight the cluster of arts and culture destinations on Bloor Street West and promote their events year round, the wide range of Bloor St. Culture Corridor organizations — which include the Native Canadian Centre of Toronto, the Bloor Hot Docs Cinema, and the Gardiner Museum, among others — represent nearly all of the priorities defined in the culture strategy discussion paper. The proposed guiding principles include creativity and innovation; quality of life and economic development; diversity and inclusiveness; respect for First Nations, Métis, and Inuit peoples; public value and accountability; informing investment in the arts and cultural industries, libraries, museums, cultural heritage, arts and music education, cultural diversity, digital content, youth engagement; and, fostering a sustainable culture sector. Members of the Bloor St. Culture Corridor said they participated in the consultations to show support for the process, network with the province’s other culture producers, and remind the province of the contributions their organizations make to Ontario’s arts industry. Mervon Mehta, The Royal Conservatory of Music’s executive director of performing arts, went to a town hall “to show support for the open and inclusive process, to make sure that support for music education was on the agenda, to ensure our voices were represented, and to support the sector”. 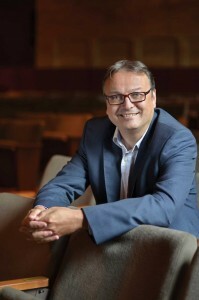 “I was particularly interested in discovering what fresh ideas colleagues across all the arts are discussing,” said Tim Crouch, marketing manager at Tafelmusik, who added he also hoped for a better dialogue with the provincial government. The Ontario government will release its report based on the public consultations some time this year. In 2014-15, the Ministry of Tourism, Culture and Sport, which oversees the province’s arts and culture investment, spent approximately $800 million on culture. For further information on the Bloor St. Cultural Corridor and Ontario’s cultural strategy, please see www.bloorstculturecorridor.com and www.ontario.ca/page/ontarios-culture-strategy respectively. Heather Kelly is the Founder/Director of the Bloor St. Culture Corridor, the Director of Marketing, Performing Arts at The Royal Conservatory of Music, and CEO of HKC Marketing.